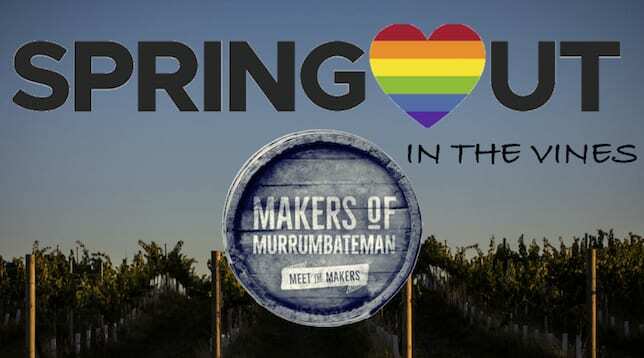 The Makers of Murrumbateman are pleased to host a weekend to celebrate diversity, equality and wine. Join any of the participating wineries listed below to enjoy special offers to participants of “SpringOUT in the Vines”. The cost to participate is $5, payable at the first venue, with all profits going to a charity chosen by SpringOUT. Dionysus Winery – Enjoy a free tasting of five wines with matching cheese. Take your photo with a life size cut out of the “Queer Eye” team in their recent visit to Yassssssss. Eden Road Wine Company – Buy 3 bottles of any Eden Road wine and receive one bottle of the 2017 Long Road Sauvignon Blanc free. Enjoy free nibbles with wine tasting. Four Winds Vineyard – Purchase one pizza and receive the second free of charge. Gallagher Wines – Free wine and cheese tastings and when you buy 6 bottles you’ll receive a 7th one free. Granitevale Estate – Receive a free glass of wine when you purchase a cheese or antipasto platter. 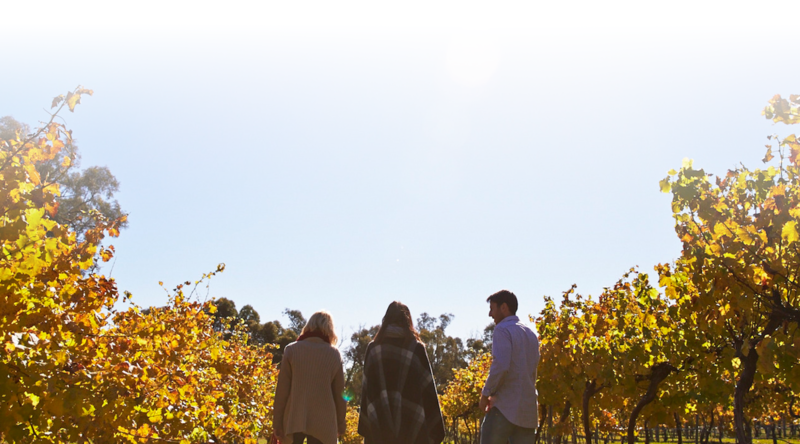 Murrumbateman Winery – Order a serve of scones and receive a small coffee for free. Buy 3 bottles of Pinot Gris and receive one free. Shaw Vineyard Estate – Receive 50% off a glass of wine in our lounge area. Tallagandra Hill – Enjoy our tasty Rainbow Fries with a glass of Prodigal Daughter Vermentino for a discounted price of $15. Yarrh Wines – Choose a free bottle of wine when you purchase six bottles.